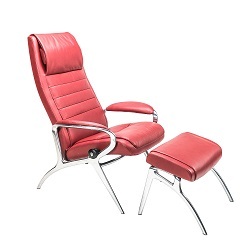 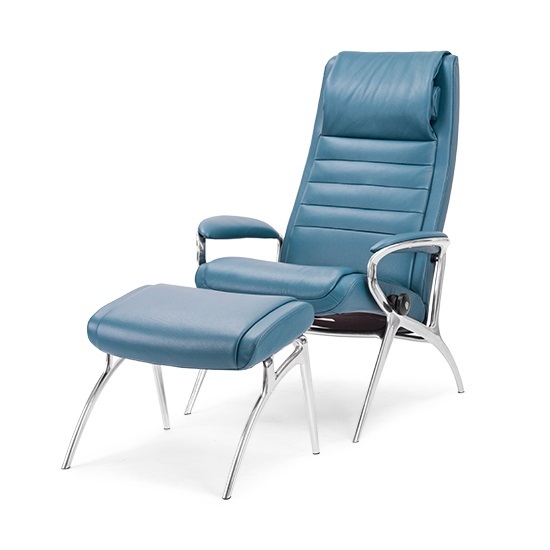 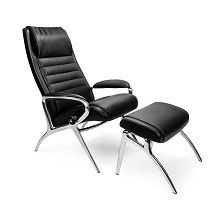 The John Chair and Ottoman, available in petrol Cori leather with a polished aluminum base, is a Stressless YOU recliner that combines striking contemporary design with high quality comfort and relaxation. 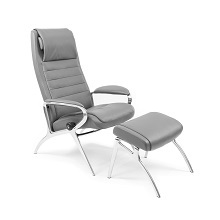 The John chair uses Stressless Plus technology to provide neck and lumbar support from any angle. 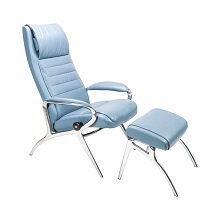 The versatile, eye-catching design of this chair allows it to seamlessly fit into a variety of home environments.